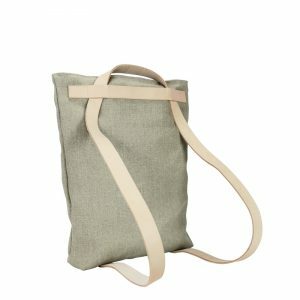 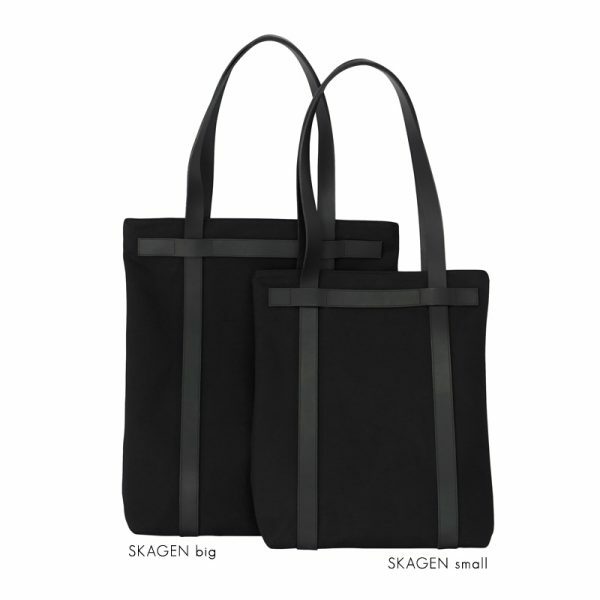 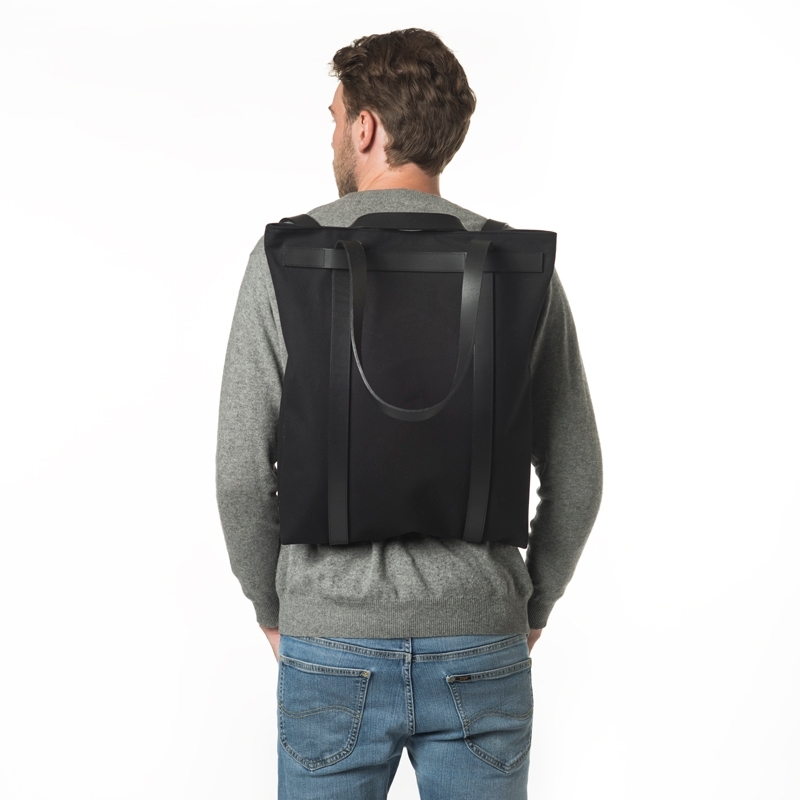 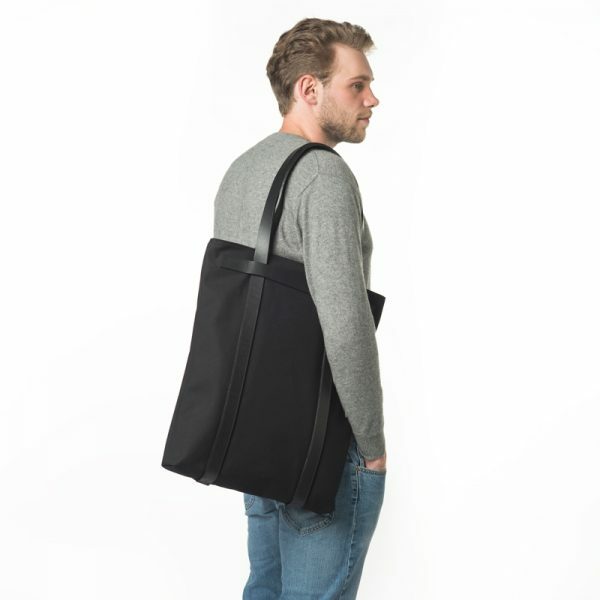 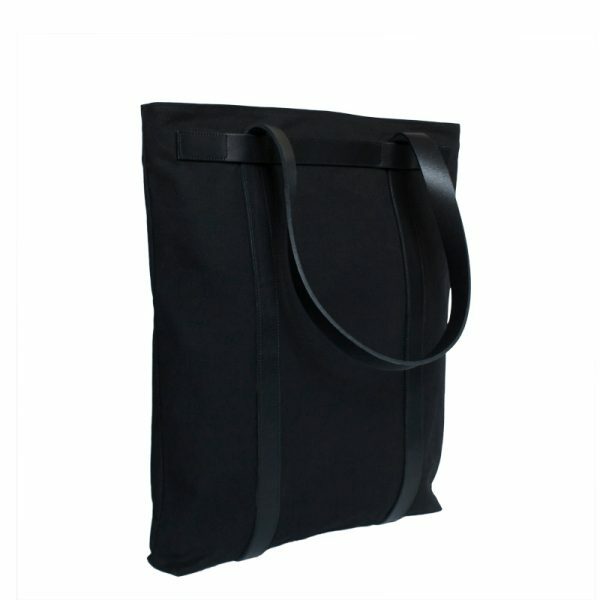 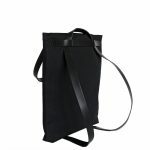 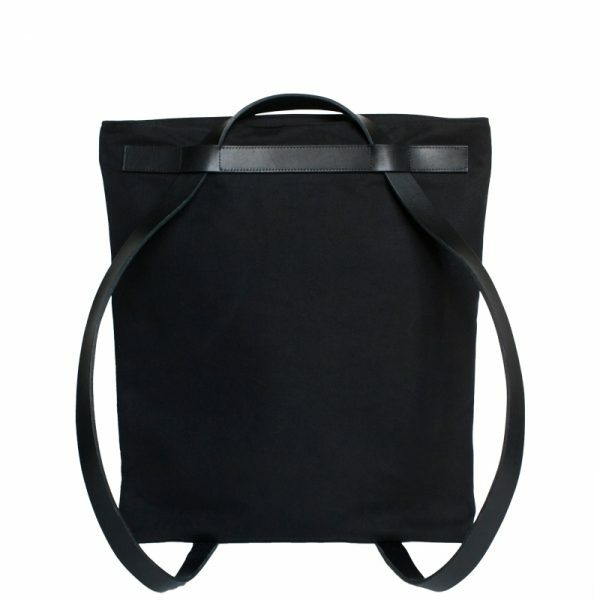 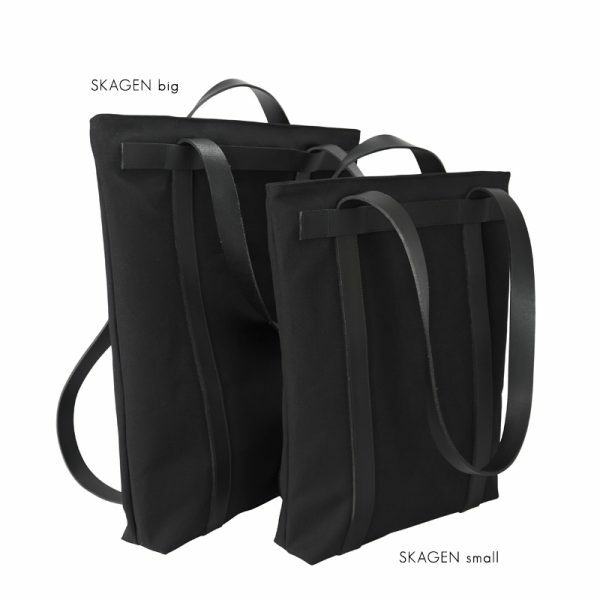 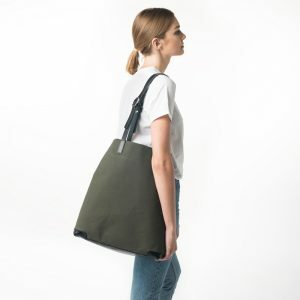 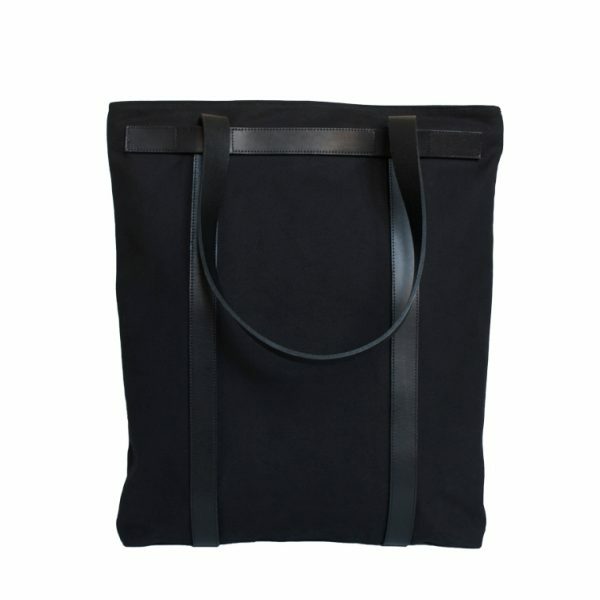 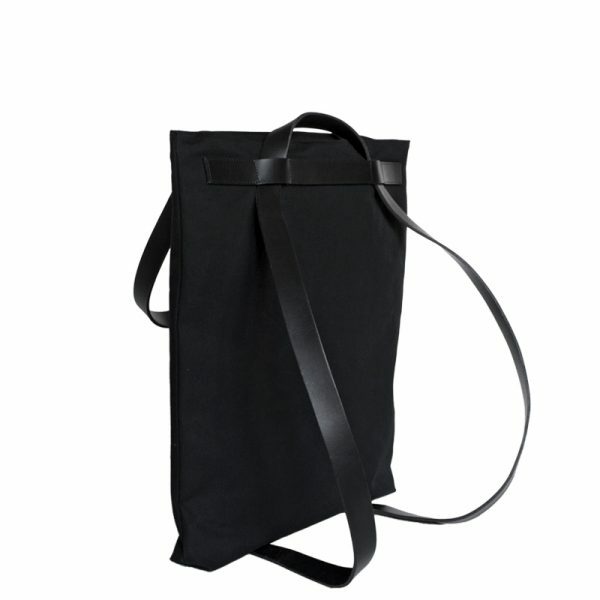 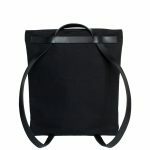 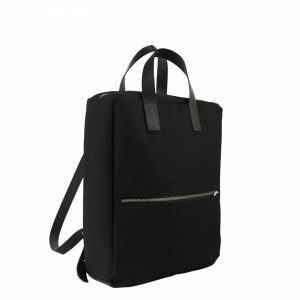 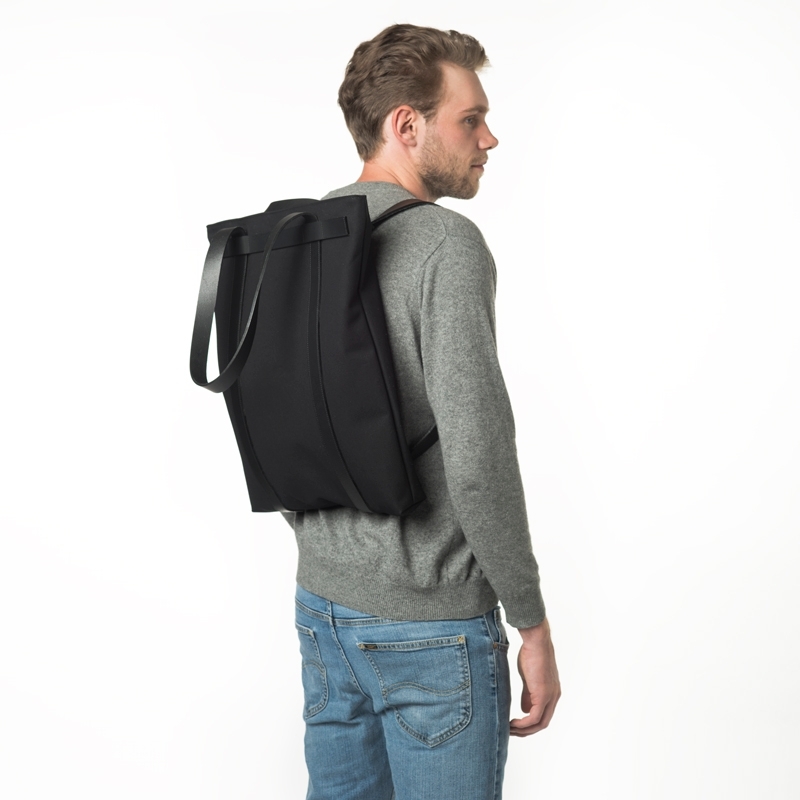 An everyday bag, which can be carried on the shoulder or as a backpack. 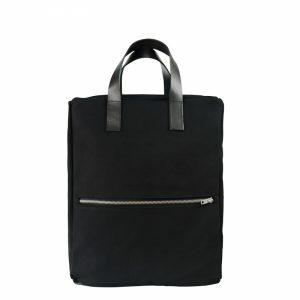 Perfect for everything you need throughout the day. 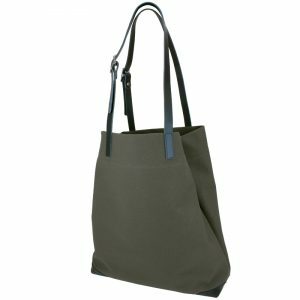 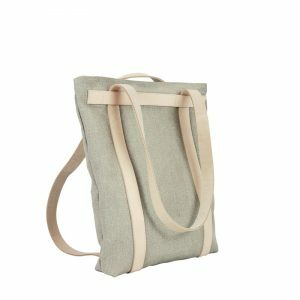 Made from robust, water-resistant 18oz Italian canvas, with extra durable, vegetable-tanned leather straps. 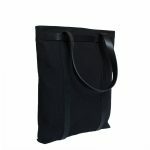 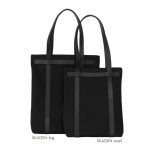 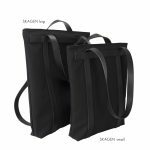 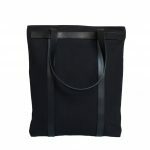 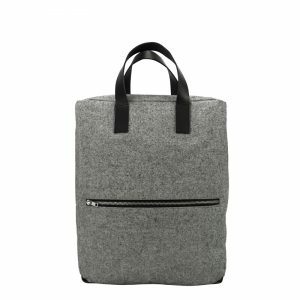 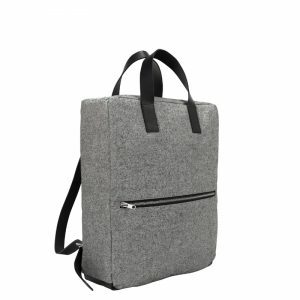 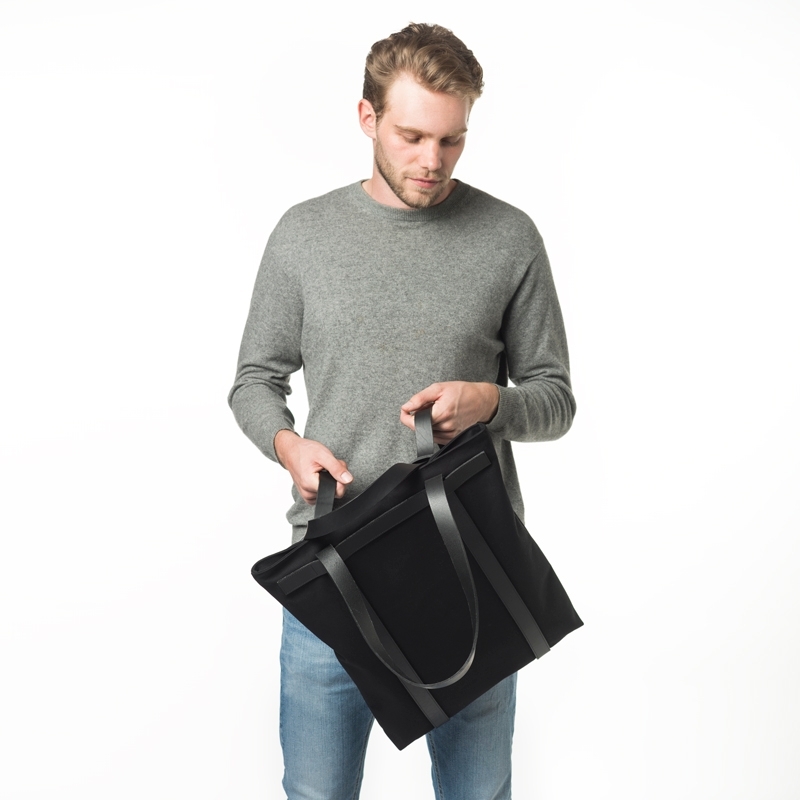 The main compartment is lined with dark grey cotton fabric, has a zippered opening and a small inner pocket for keys, phone and other items you want to have close at hand.